Former England goalkeeper Gordon Banks, who helped his country to win the 1996 FIFA World Cup, has passed away at the age of 81. Banks played all games for his country in the World Cup glory year in which they defeated West Germany in the final by 4 goals to 2. After four years, he also helped England to reach the quarter finals of the competition in Mexico, and proved his heroics by making an exceptional save to deny Brazilian Legend Pele a goal in the group stages. At club level, the deceased played for Stoke City and Leicester City, where he won two League Cups at both clubs. He also twice reached the FA Cup semi-finals with Stoke, and was later appointed as president of the football club in 2000. 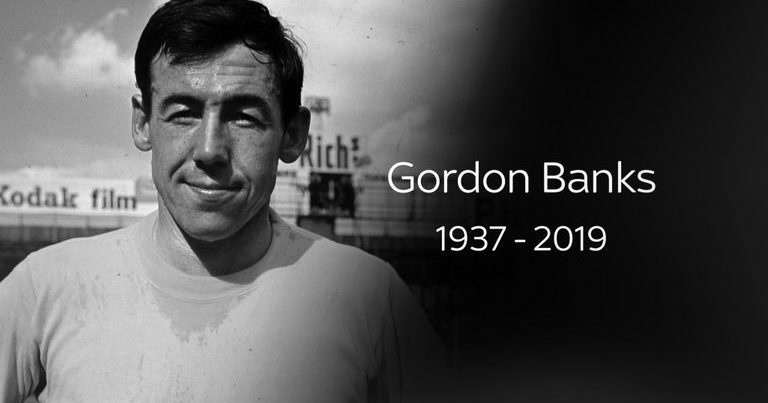 The sad message has been announced by the deceased’s family in a statement which as per a Sky Sports article reads: “It is with great sadness that we announce that Gordon passed away peacefully overnight. We are devastated to lose him but we have so many happy memories and could not have been more proud of him.